Concentrating on one single thing at a time instead of multi-tasking -- an activity called flow -- has a huge positive psychological impact and helps "rewire" our brain. Taking this idea into practice, artists from around the world have been patiently creating intricate art using many amazing materials and techniques. Take a very close look at our 6 Best Intricate Tiny Art works that we've come across here at Inhabitat. 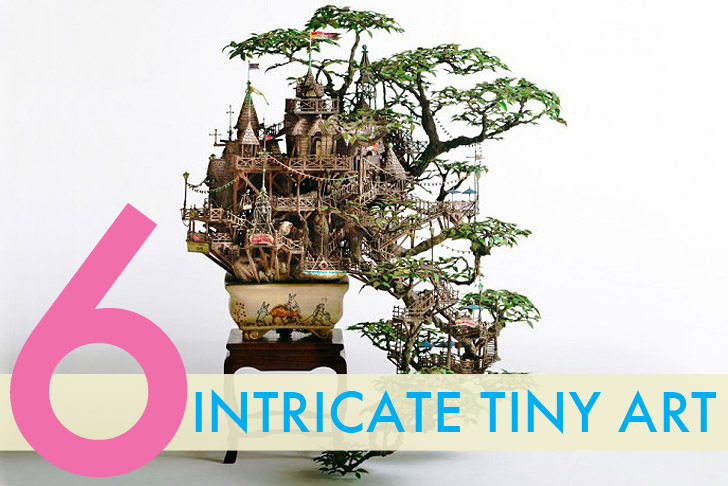 With bonsai style as his inspiration, Japanese artist Takanori Aiba created a series of incredibly intricate worlds. 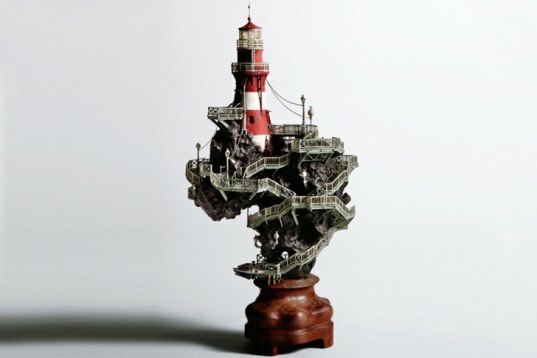 Using standard craft materials, he fashions detailed castles, bridges and lighthouses that portray the beauty of spiritual harmony between humans and nature. 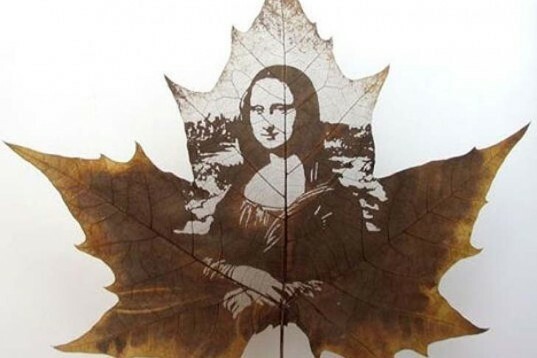 Artists from China have been creating amazing delicate illustrations from carved leaves. The carvings provide haunting, ephemeral images of the Mona Lisa, the Statue of Liberty and fantastical landscapes. Brazilian artist Dalton Ghetti creates tiny sculptures carved out of the fragile tips of pencils. 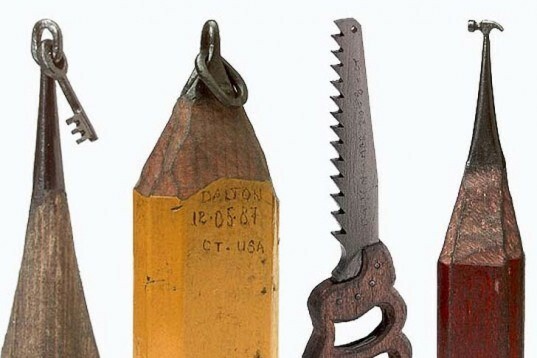 Armed with a razor blade, sewing needle and sculpting knife, this mad South American creative refuses to use a magnifying glass. 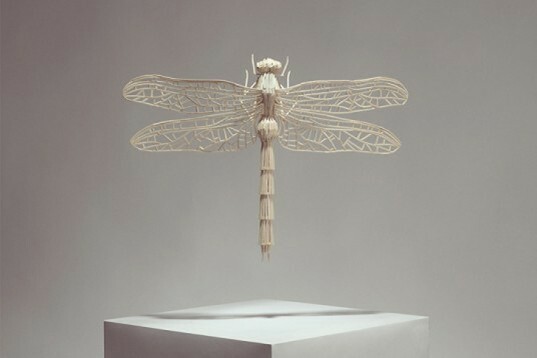 British designer Kyle Beans has been busy building insects out of plain old matchsticks. Beautiful dragonflies, butterflies and moths are all part of his amazing biodegradable “Stick Insects” collection, which takes significant time and patience to produce. 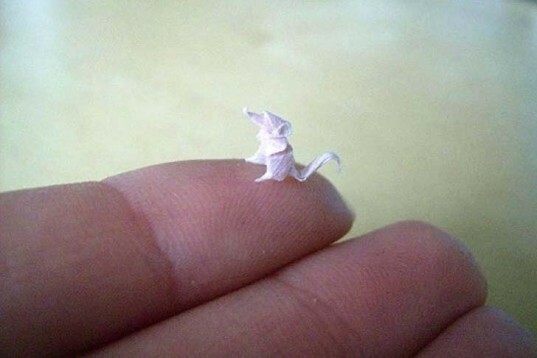 German artist Anja Markiewicz folds pieces of paper smaller than an inch long into incredible cute origami figures. Using a toothpick and her skilled hands, she creates cranes, dragons, mice and flowers on an extraordinarily small scale. 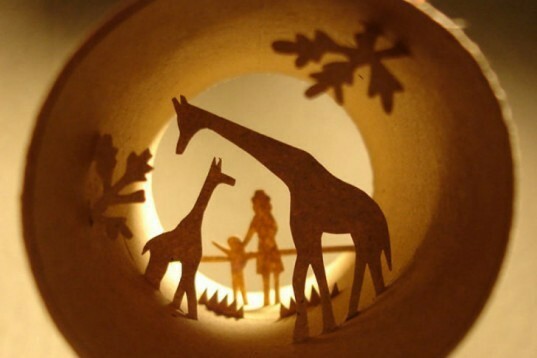 French artist Anastassia Elias has worked out how to turn Cardboard Toilet Paper Rolls into small charming worlds. Sweet simple moments in life like visiting the zoo, children playing or grandma sleeping invite the most curious of viewers to peer in. Japanese artist Takanori Aiba created a series of incredible intricate worlds using bonsai style as inspiration. Using standard craft materials he fashions detailed castles, bridges and lighthouses that portrays the beauty of spiritual harmony between humans and nature.